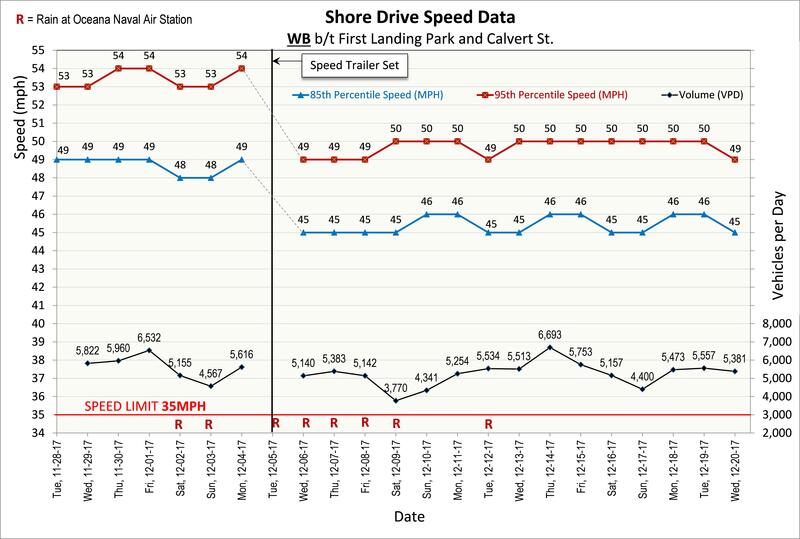 The Traffic Engineering Division of the City of Virginia Beach (CVB) has conducted a test to evaluate the effectiveness of “Real-Time Electronic Speed Feedback Displays” (RTESFDs) at improving compliance with the posted speed limit. 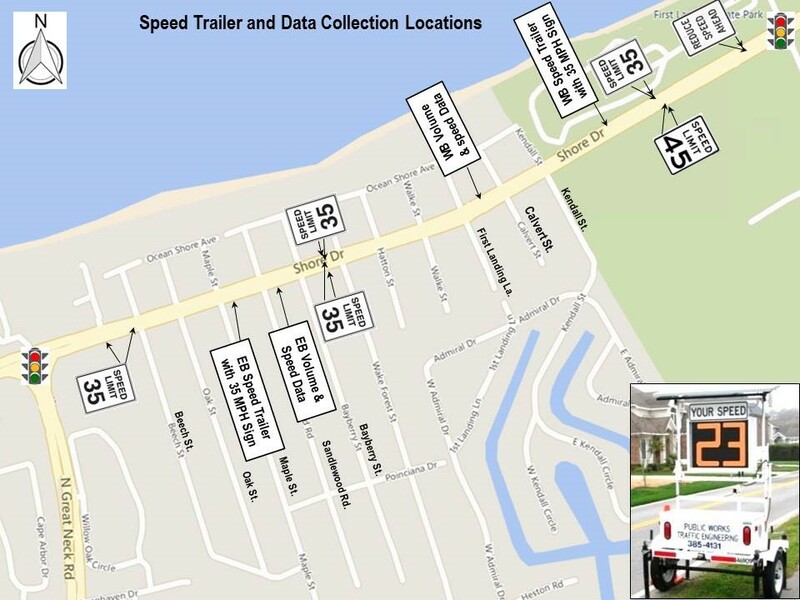 Shore Drive in the Cape Story area was utilized as the test case area and the CVB’s existing trailer mounted RTESFDs were utilized for the evaluation. 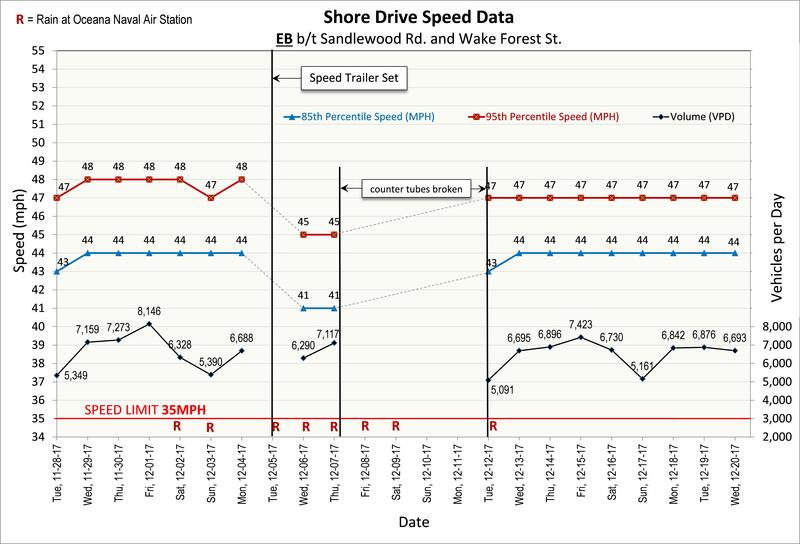 The purpose of the study was to determine if the devices are effective at improving compliance with the posted speed limit, and if so, to what degree is speed of traffic modified, and is the change sustainable. Locally, the City of Norfolk has utilized these devices, however before and after data were not collected so the performance could not be evaluated. ← The eastbound 3600 block of Shore Drive near the intersection of Dinwiddie Road has been reduced to one lane for emergency water main repairs.